This is a lovely, modern, cleverly designed, and independent studio apartment, at the rear of our family home. It has independent access so you can enjoy autonomy and privacy. 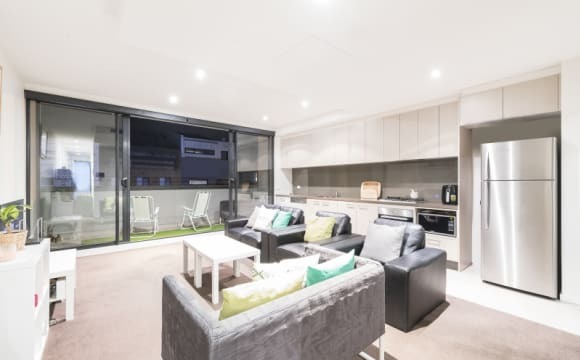 It is situated in a quiet street of Camberwell, just minutes away from the junction and seconds away from public transport (20-30 mins to CBD). From the studio, there is a nice view onto the street and a relaxing leafy view into our backyard. The studio is clean and furnished with a queen-size bed, wardrobes, a desk &amp; chair and a small dining table with chairs. The studio has a bathroom (shower) and a little kitchenette area with a fridge, a mini oven, and 2 electric hot plates. A washing machine is also included so you don’t need to go to the laundromat! What makes this studio special is that it is very peaceful yet so close to the buzzing junction and to public transport! 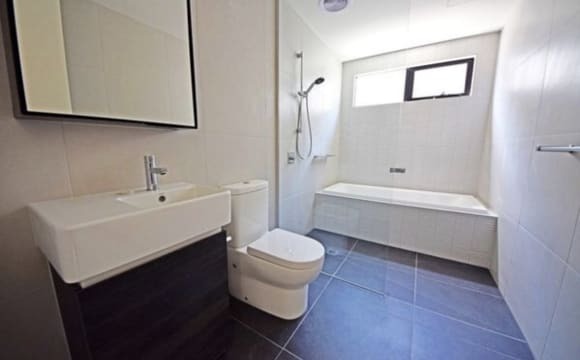 Fully furnished freestanding house in Camberwell. A period style double-storey house with 5 bedrooms and 3 bathrooms in a superb location. Polished floors and luxurious carpeting, fully furnished, high ceilings and plenty of living space create a pleasant home environment. 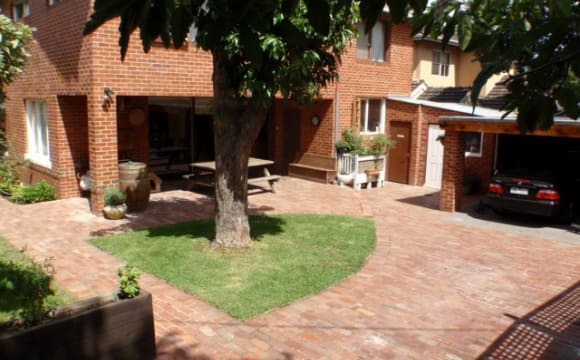 Separate lounge, dining and library areas, fully equipped kitchen, outside BBQ area and a large backyard. If you have a car there is parking available right outside the house. I'm 41 years of age,my partner and I operate a concrete grinding business,which keep's us busy and gives us many challenges,I guess I'm an introvert,enjoy working alone.My partner Sheryl is outgoing. .No bills to pay.Please send a text. Its a very spacious 3 story townhouse. It’s modern and located in a trusted safe neighbourhood. Trams around the corner and 2km from the train station. 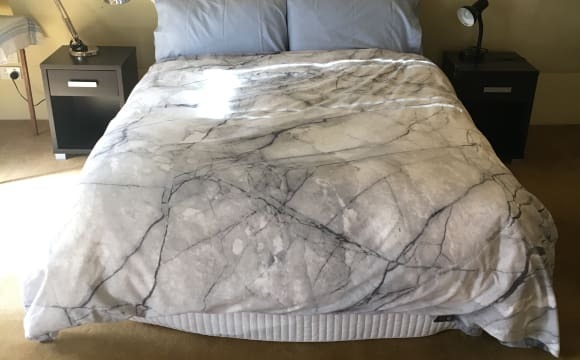 Master bedroom available! The master bedroom is the biggest in a two bedroom flat, with a large window which gets the morning sunlight and a spacious wardrobe. The flat is single storey with a single garage. 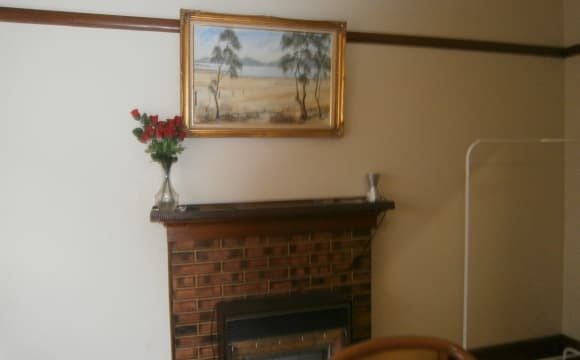 Situated a short walk from two tram stops and Burwood Station, the location is very convenient. 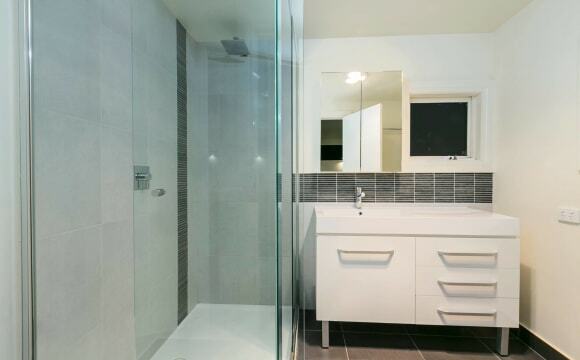 Very close proximity to Deakin University, Camberwell Junction and Chadstone Shopping Centre. Located in a quiet area with plenty of street parking, so if you have a car, you can typically park either in the garage, in front of the garage or on the street. The inside and outside of the flat has been recently painted and is in a very good and clean condition. The floor boards have been recently polished which makes the flat easy to maintain. The house is fully furnished, except for the master bedroom - you will need to bring your own furniture. 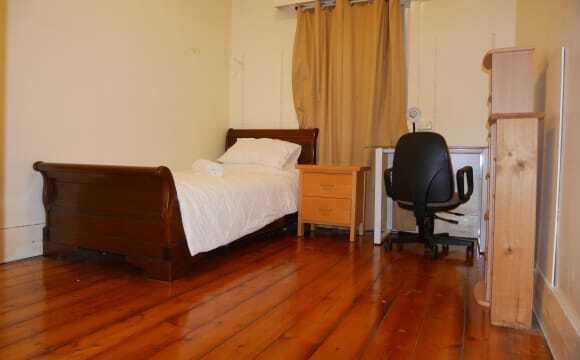 The room is large and fits a queen bed, desk, and side table comfortably. The flat has a nice big lounge for chilling, and open plan kitchen and dining areas. There is also a small courtyard! The utilities and internet are not included in rent and will be split 50/50. Airconditioning, central heating, gas heater in the lounge room, solar panels, washing machine, fridge, microwave and communal tv. Direct contact with the owner who does not live in the flat and is very responsive. Address will be provided to genuine enquiries. The room is available from 30 May, but may be available a week earlier if required. Shoot me a message! Looking for fully employed daytime worker or student to share lovely home Camberwell. Very large bright airy room at front of house with queen bed, built in robes, bedside table and desk. 4 minutes walk to tram 75, 14 minutes walk to Burwood station, 15 minutes walk Deakin Uni. Close to public transport and city. Ground floor with secure outdoor large courtyard. It is just near Camberwell Burke rd shops, with cafe’s, restaurant and shops. The apartment had a secure outdoor large courtyard. Security entrance, own bathroom, use of all facilities and fully furnished. Looking for someone to move in ASAP or start of May. Hello potential future roommate! A bit about me: I’m Scott, I’m 26 years old, and I currently working as a Data Analyst. I work full time, but I’m still very active and have a healthy social life (nothing too excessive, but not boring). I’m very easy to get along with, fun, but I also respect people’s private space. I'm really into movies and TV shows (Thank god for Netflix). I'm very creative, constantly working on some kind or art project or build. A hobby of mine is making video game/movie replicas and selling them. I'm quite the handy man so I am always looking on new cool things to do. I love hanging out with friends, going to music gigs and just exploring places I haven't been before, have also started getting into rock climbing as well. Saying all that active stuff, I love days just chilling and hanging out, either just laying on the couch watching movies or playing games, or having some drinks together and a nice BBQ. Great cook, so you can look forward to good food, as well as great vibes around the house hold. About the room: These pictures are a bit old, and all rooms in them have brand new carpet installed. 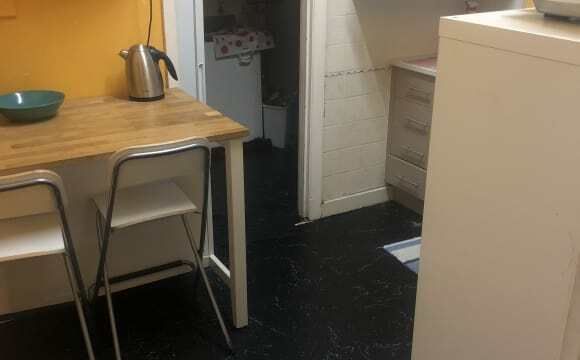 This is a 3 bedroom flat and I'm currently looking for someone to take one of the rooms. Pets welcome, very chill about everything. Room is unfurnished but the rest of the house (appliances etc) is all furnished). The bedroom available is roughly 4.5m X 2.7m. I am in one room, with the third being used as storage (because you have to walk through either room to get to it. Plenty of space available). I'm friendly with the landlord so there isn't many restrictions regarding hanging things up or alterations etc. I'm also good with maintenance/building so happy to help out. Including bills it comes to about $250 a week and INCLUDES WATER + GAS + ELECTRICITY (Average) + INTERNET, this makes base rent around $200. Currently the flat is serviced by a good internet connection (16mbps ADSL2+, with fibre currently being installed). Looking for someone to move in ASAP. The flat itself is a 3 minute walk from Camberwell station (Lilydale, Belgrave and Ringwood lines), and is a 20 minute train ride to the city with regular train and tram services. Close to Glenferrie Road and Swinburne Uni. Close by to Camberwell’s shopping area, filled with great restaurants and stores. 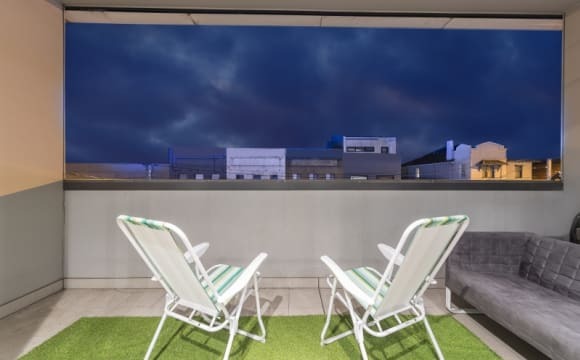 The space also features a big outdoor area with a nice light ceiling (photographed), which I'm sprucing up with some herbs, vegetables and flowers, an outdoor setting, and a BBQ for summer dinners and parties. In addition the flat has a spacious family room area, and a great kitchen and bathroom. The photos don't really do it justice since it's a long flat, but there is fresh carpet and the landlord is seriously lovely so you can do what you want decoration wise. If you are interested please feel free to message me, I am happy to answer any questions you have. Thanks, all the best, and I look forward to hearing from you soon. 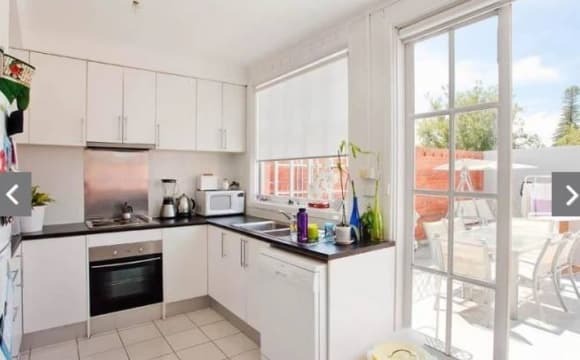 Cute little 2 bedroom unit in Camberwell. We have a nice living area with comfy couches and a great kitchen! 5 min walk from nearest tram stop, 5 min drive to Deakin Uni and 3 min drive to nearest supermarket! There is always plenty of street parking available - no permit needed. There are a number of great parks and walking tracks in the area! Must be ok with living with my two fur babies, Jeeta (pup) &amp; Luca (kitten)! 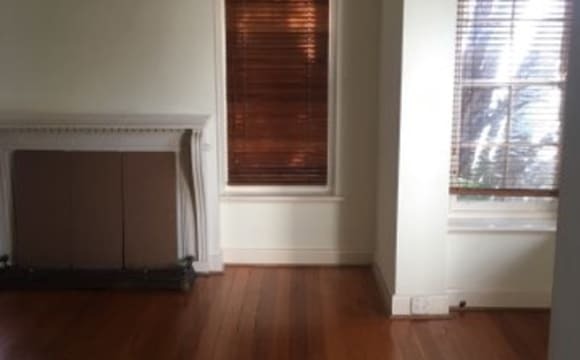 Beautifully furnished and fully renovated 2 bedroom unit in Camberwell. Light and airy with plenty of natural light and windows. Brand new carpets in bedrooms, and floor boarded living and kitchen areas. Living room has a gas fireplace which is amazing during winter and cooler days. 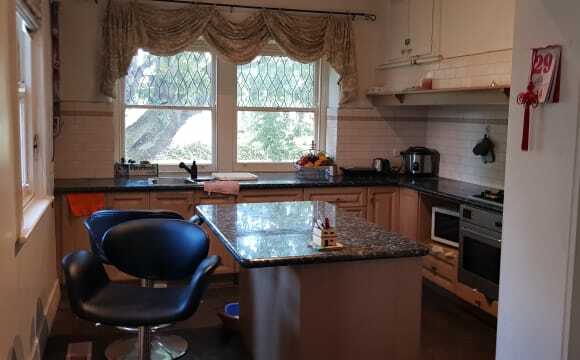 New kitchen with Calcutta stone bench top in kitchen with state of the art smeg oven, Westinghouse induction cooktop. 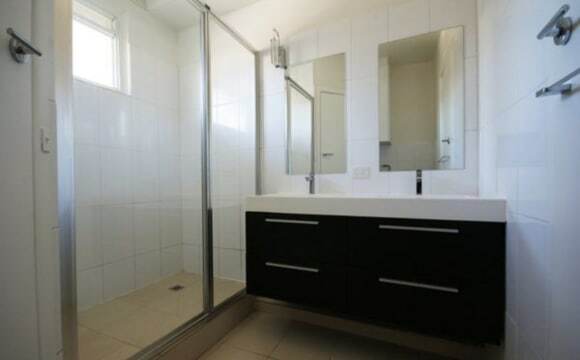 Brand new bathroom with rain shower head, large bathtub, marble vanity and tiles and heated towel rail and separate toilet room. Very convenient if you are a student at Deakin as it’s only a few minutes down the road via car or tram. Public transport wise, there is a bus stop outside the house! Also, trams are a 5 minute walk which is also where the local shops are on Toorak road, with an IGA, post office, cafes, restaurants/take away joints and multiple gyms. 10-15 minute walk to riversdale road tram with Miss Frank cafe (a favourite of mine). The room comes fully furnished with its own Nobo wall heater, a mounted TV on the wall, queen bed, side table, lamps and dressing table with a large wall mounted mirror. I am flexible with the furnishings in your room if you have your own bed and side tables you would like to use. The room has a double door inbuilt wardrobe. It’s spacious an airy with a view out to the back courtyard. Water bills included in the price of rent. Electricity, gas and internet bills will be halved between myself and the new occupant. Also require 4 weeks notice if moving out Thank you!